This post is long overdue, I know. I initially started to write it a couple of days after I came home, but never got around to finishing it because of everything that transpired afterwards. I landed in New York super jet lagged and sick, which lasted about a week. Before I knew it, it was NYFW. I didn’t do it all this season, but took part in the first few days, which definitely shifted my focus. And then last Sunday, a good friend of mine, Kyrzayda, passed away after her year-long battle with stomach cancer. It shattered my heart, but at the same time it was so beautiful to see how many people she impacted. She left behind an incredible legacy. Forever inspired by her. These last several days have been especially rough for me with a few health scares in my family. Everything has left me in such a strange place emotionally. I spent the weekend in Jersey at my mom’s house and unplugged from all of it. I needed to clear my mind and get refocused. I keep thinking about all of the ways that Kyrzayda motivated me. I can literally hear her voice in my mind telling me not to give up. So here I am on Monday morning, feeling inspired to write once again. 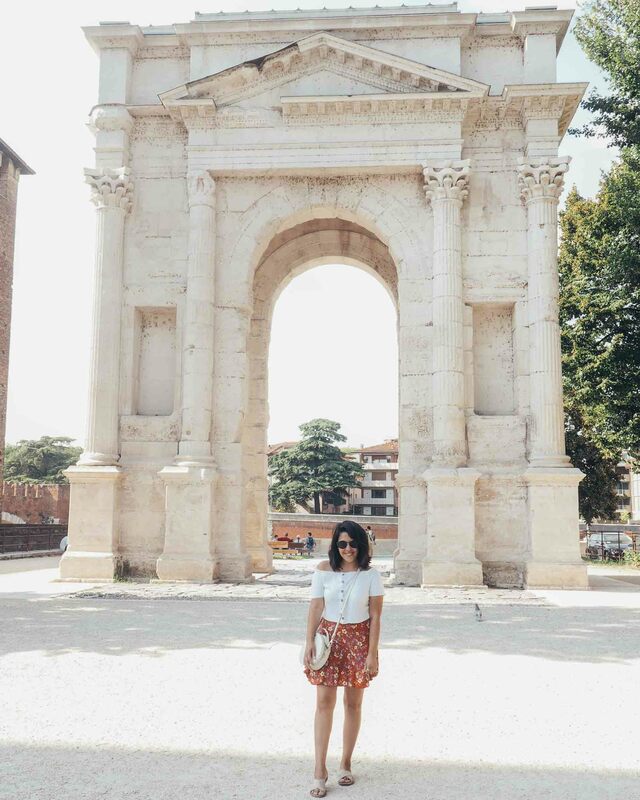 It’s finally time to start my Italy series here on the blog. I’m sorry it took me so long. I hope I didn’t let too much time pass by. I hope you’re still here and I hope you’re reading this. Where do I even begin? This was my longest time traveling alone and while every solo trip has been so special to me for their own reasons, this one changed my life in many ways. When I arrived back in NYC, not only did I feel physically drained, but I felt emotionally drained as well. I shared so much of the adventure on my IG stories from the good to the lonely to the challenging. I pretty much bared my soul during those 18 days of travel. 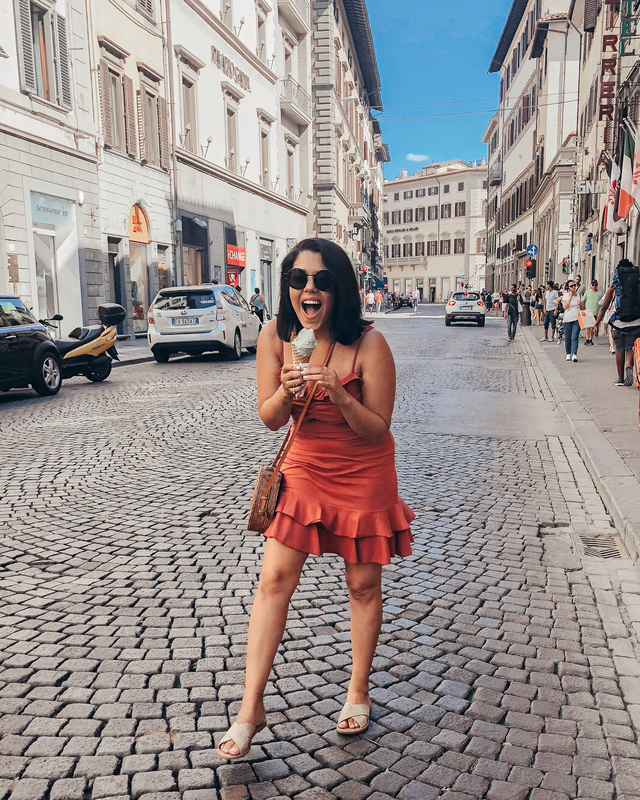 From the moment I landed in Rome to the moment I flew home from Milan, I had been completely blown away by the amount of messages I had received during my time in Italy. I began to realize how much my own solo travels had resonated with others and the deep connection that it seemed to form with so many of you. I knew instantly that not only is this a true passion of mine, but it’s something I need to build on. I’m honestly still a bit speechless by the overwhelming response. I never imagined that something I’ve been doing for myself these last 4 years could be so impactful on those I’ve never even met before. That is an incredibly beautiful thing. Thank you, Internet. It’s no secret that I am the happiest when traveling alone. This other version of myself (a better version) always seems to come out. The adventurous, spontaneous, care-free, not-in-my-head version of myself – the one that I try so hard to find when I’m at home. I’m not sure what it is about being on my own thousands of miles away in a foreign country. Maybe it’s the escapism factor or maybe it’s because I’m completely immersed into a new culture and have to figure out how to navigate my way. It’s both freeing and exhilarating. It’s a feeling that I never want to let go of, but unfortunately only seem to find when I’m traveling. I gained so much insight from Italy to the point that I began to look for one specific thing that each city gave me or taught me. (I’ll make sure to expand on that when I post about each individual city) Every place brought upon their own challenges and lessons and it was up to me to figure out exactly what I needed to take away from that. That’s one of the most incredible aspects of solo travel. I truly believe that you learn much more about yourself because your limits are pushed and you’re forced to only rely on yourself and your own instincts. It’s empowering and shows you all that you’re capable of. One of the most surprising parts about this entire trip is the way that it brought out my spontaneous side in a whole new way. While I was in Milan, I felt such a strong urge to extend my stay. I embraced that feeling and changed my flight the day before I was supposed to fly home. I wasn’t able to stay much longer, but I gave myself a few extra days. I didn’t overthink it – I just went with it. For the rest of that week, I hopped on a train from Milan to a new city every day. 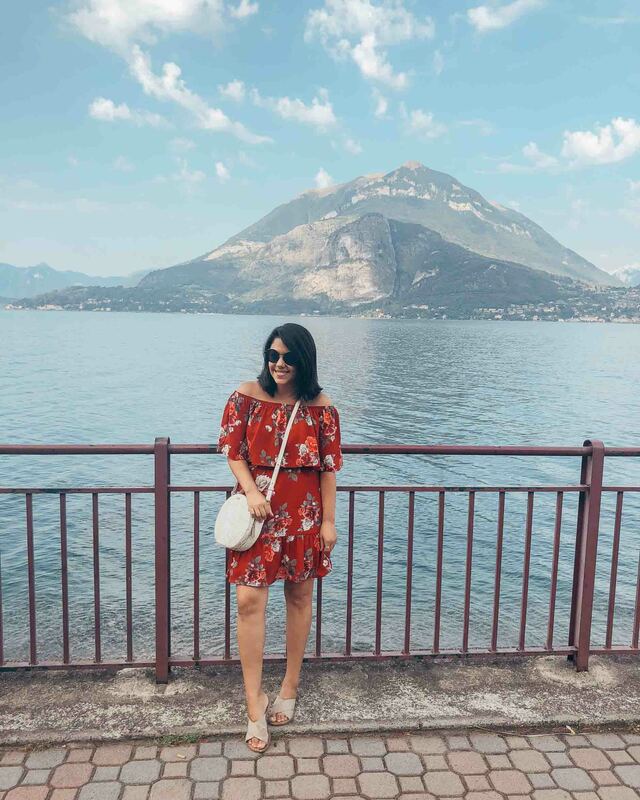 It gave me the opportunity to see more of Italy than I had initially planned on. I even ended up in Lugano, Switzerland on my last day! More on that soon. I’m often asked if I get scared to travel alone. I think I get a bit anxious at times more than anything, but I don’t really feel afraid. Even when that fear tries to creep in, I push past it. I know that’s so much easier said than done, but my motivation to do this is far more powerful than any feelings of fear. The unknown can be scary for sure, but it can also be so beautiful and thrilling and life changing. I have learned over the years how much more you can live when you don’t hold yourself back. When the universe is trying to push you outside of your comfort zone to help you grow – let it happen! You have to be able to keep an open mind while also learning to rely heavily on your instincts. I met so many people and made a couple of new friends, but I never let my guard down too much. There’s a give and take that comes along with that. I’ve really learned how to read other people’s energy and to know when a situation doesn’t feel right. That’s an extremely important component that comes along with traveling by yourself. There were definitely moments of loneliness – moments when I was very aware that I was by myself. I think the nighttime is always the most challenging for me. I vividly remember several times when I would be sitting alone at dinner and some people would stare at me in confusion. It can be frustrating when others don’t understand it. But then you meet people who totally get it and they applaud it. Being able to do things like this for yourself is exhilarating. There shouldn’t be this stigma around females who travel alone or go out to dinner by themselves. We, as women, can do anything! Don’t ever forget that. All of these travels and experiences have helped shape me into the woman that I am today. I first started my solo trips back in 2015 as a promise that I made to my father. It opened up this whole new world for me, literally. It was as if I was finally seeing clearly for the first time and all of those caged emotions were set free. Ever since then I have taken one big international trip every year by myself and I don’t plan on stopping any time soon. I always feel my father’s presence with me on these trips – maybe that’s what helps me feel safe. I swear it’s almost as if he’s standing right there beside me. This is a way for me to show him parts of the world that he never got to see when he was here. When I look back on my life it’s these moments and memories that I will cherish the most. These are the kinds of experiences that I want to live for. Solo travel is not glamorous and it comes with its own obstacle course that you have to overcome. I tried my best to show that as much as I could while I was in Italy. 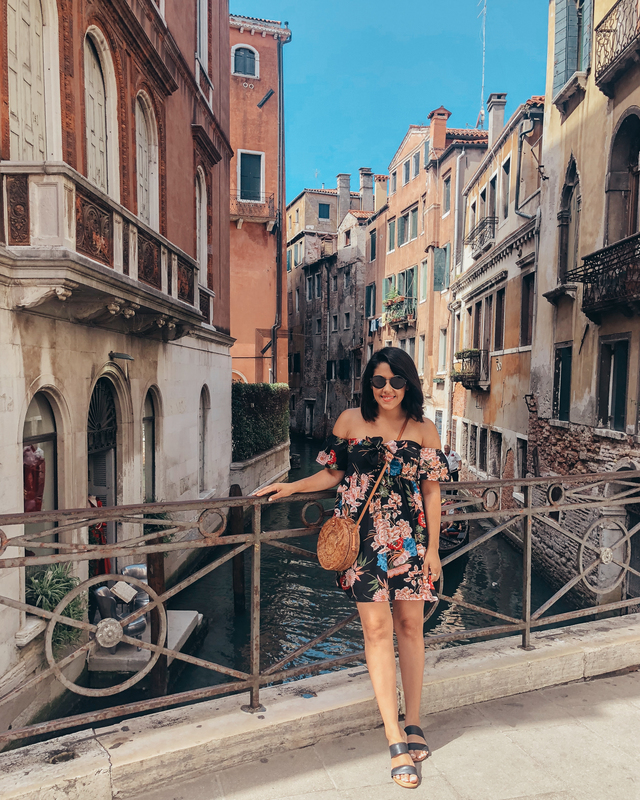 With so many travel bloggers and gorgeous travel photos flooding your IG feeds, I really wanted to show more of that rawness – more of those in-the-moment snapshots during my travels. I hope I succeeded in that aspect. Thanks to some editing in Lightroom, I ended up with some pretty good photos! The quality isn’t the best here on the blog, but they worked perfectly for IG and captured all those memories exactly as I hoped. Italy quickly became my favorite country that I’ve visited and it will forever be imprinted in my mind and my heart. I’m extremely appreciative for everything that it gave me from a little bit of romance to my first designer handbag to some much needed self-empowerment. I’ll make sure to elaborate on that as I get further along into this Italy series. I have to be honest though. I felt so different when I came home. In fact, it took me quite some time to get into a routine again. I had those post-travel blues like crazy. I even felt a little depressed. This is actually a topic that I want to dedicate an entire post to soon. It’s a real thing and not many people talk about it. I can never be someone who comes home from a long trip (especially when jet lag is involved) and just snaps back into my every day reality. There’s always a period of time where I struggle. The longer I’m away, the more difficult it becomes for me to adjust back. There is probably so much more that I can write, but I’ll end on this note. I have so much gratitude in my heart right now. I’m thankful for every single setback that I faced during my travels because it made this adventure even more significant and special. I can’t wait to dig deeper and tell you all about the lessons I learned over those 18 days. You never know where life is going to take you. Things can change in an instant, so you have to make the most of the time that you’ve been given. If there’s something that your heart is calling you to do, then go and do it now. Don’t allow yourself to be controlled by fear. To everyone who followed along on this journey with me, thank you! I loved being able to share as much as I did with all of you. It made me feel like I wasn’t really there alone. Stay tuned for all things Rome coming up next. I’m looking forward to expanding on this solo travel section. Thanks for reading. Love you! P.S. Love your new bag!!!! Thank you so much! I’m already thinking about where I should go next. Hoping the next solo trip will be in the spring. I can’t wait to share the rest of Italy! There’s just so much. I stay inspired. One day we’re gonna meet at random on one of your travels. And then I’ll tell you all about how you’ve been like the big to me. I absolutely love your writing Naty, please don’t ever stop. Some of us will always be here. I’m glad you feel changed, I could see it in the way you shared your journey on IG stories, it was so unfiltered and I loved it. Wishing you many more travels ahead. Your solo travel trips inspire me so much! I don’t have the courage but maybe one day! So happy they do! I hope you do it one day girl!! I really love the post, I am even more suprise to year that people in Europe in this century still found it strange that a woman travels alone. I thought it was someonehow only in Africa (speaking of my own experience) but it’s actually not only.